Contents page illustration for Monster! 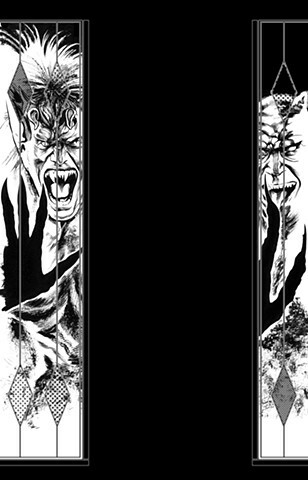 issue 26, which features reviews of THE UNNAMABLE (left demon), HAXAN (right demon) and NIGHT OF THE CREEPS (the glass-paneled door). Contents run white-on-black down the centre.